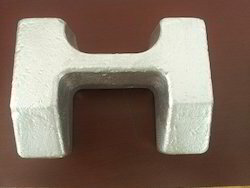 OEM Manufacturer of a wide range of products which include metal forgings. We offer a wide range of customized Ferrous and Non Ferrous Metal Forging. These metal forgings are manufactured as per the industry standards, and are widely demanded in the market. *The prices mentioned are just our approximate starting range prices .Actual price may vary depending upon your order type and quality . Looking for Metal Forge ?